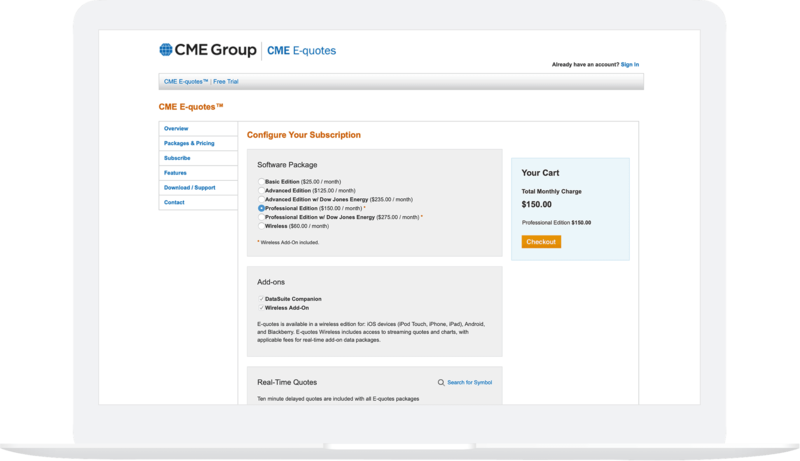 Customer now have flexibility to change their CME E-quotes options real-time. 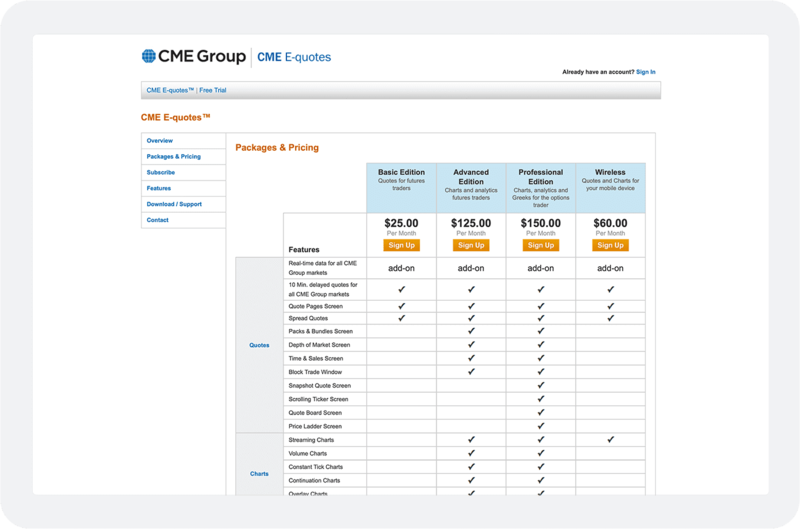 CME Group is the world’s largest futures exchange. E-quotes is a software application offering world-class charting and analytics, real-time quotes, block data and news on CME Group traded products. Gulo was approached to create an ecommerce-driven subscription platform for E-quotes. The resulting account management portal and flexible ecommerce platform gave customers new-found flexibility.